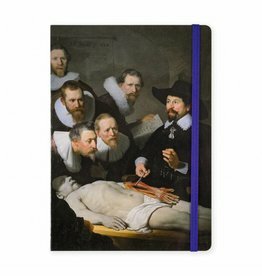 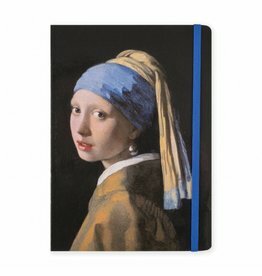 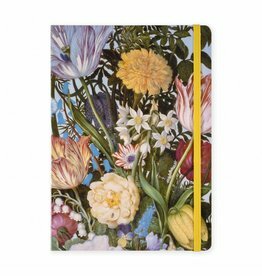 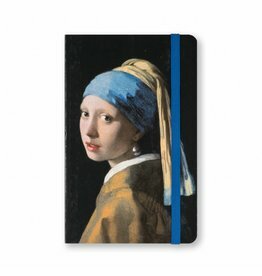 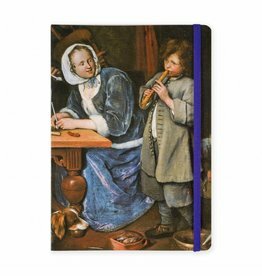 Double-sided lined notebook with elastic in matching colour on A5 size. 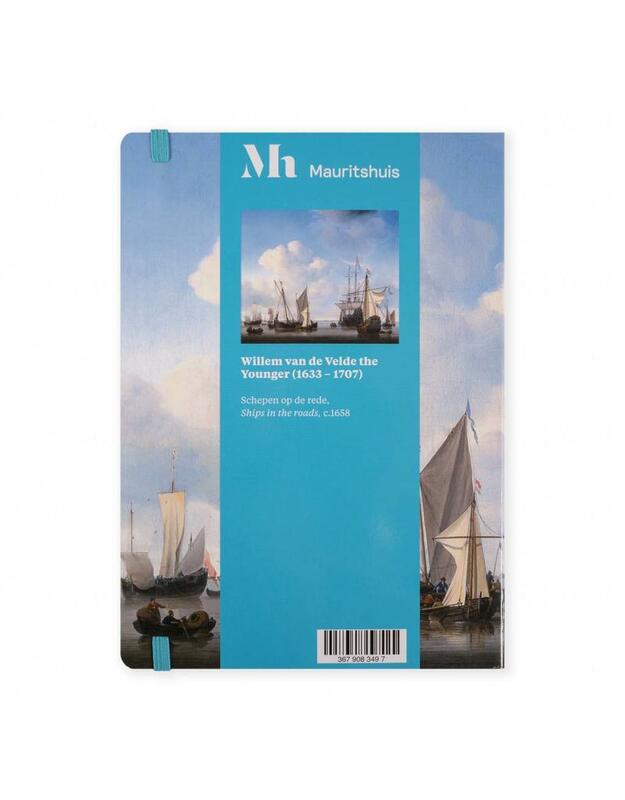 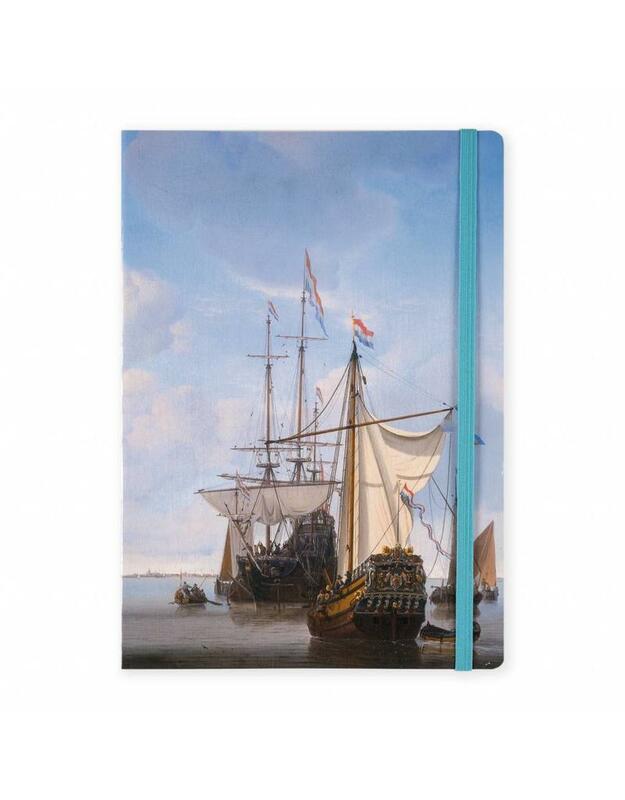 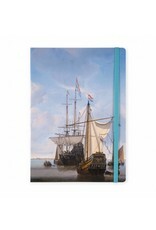 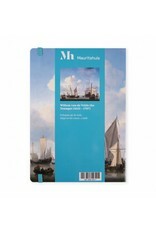 Hard cover with a detail of the painting by Willem van De Velde, Ships in the Roads. 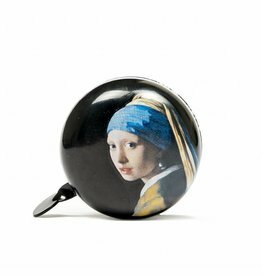 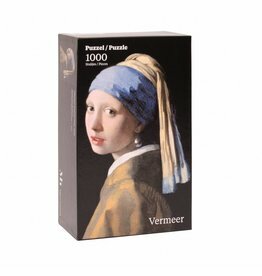 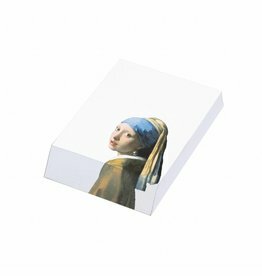 Bicycle bell with an image of Vermeer, Girl with a Pearl Earring.